It's that time of year when I start to panic about all the projects in the house that I should have done while the weather was crummy. That they're in the mauve/purple area is not surprising. I absolutely love this one! Very well done. Turquoise blue . . . that's the one my oldest would pick. Is that a nice pick-me-up sort of color or is that more of a soothing color. Great shot though of the oh-so-tough decision! Really good.... You have a knack for seeing great moments to capture. 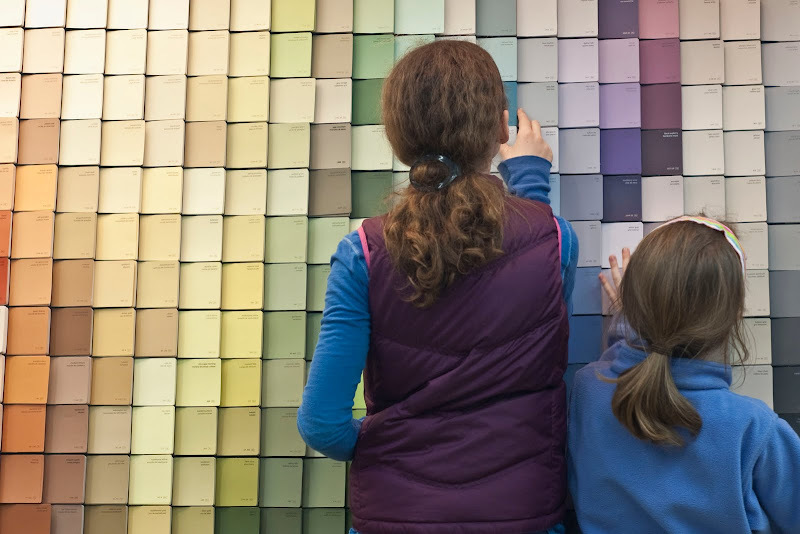 Love the color of their clothing next to all the paint samples.